Congratulations are in order for Valeria Piazza: Miss Universe Peru 2016 is engaged to long term boyfriend. Valeria posted the happy news on her social media account on Sunday alongside a picture of her new glorious-looking diamond ring. "I look at you and see the rest of my life in front of your eyes, I said YES!!! 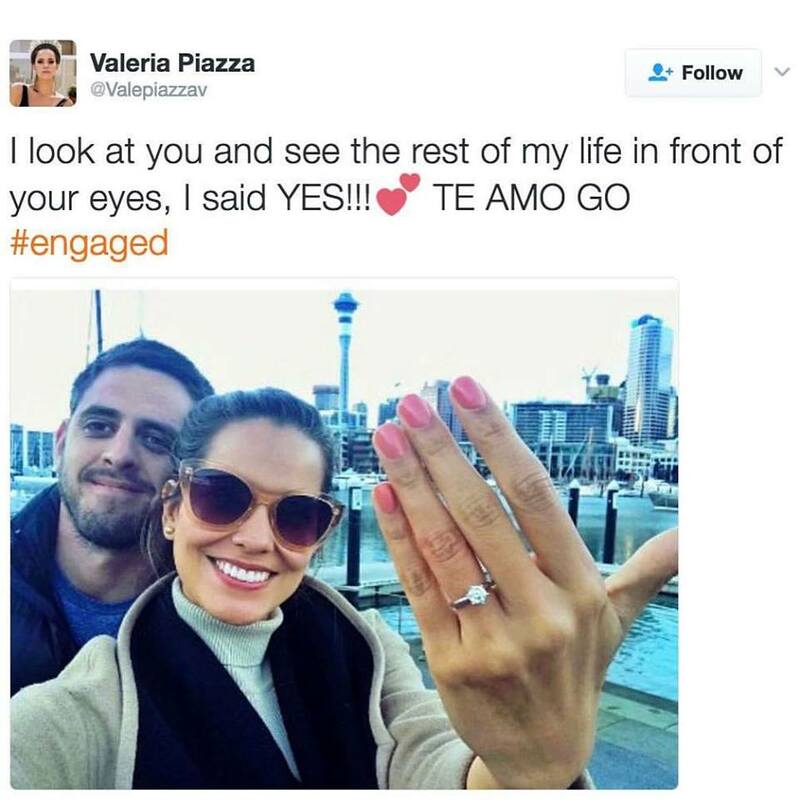 TE AMO Go #engaged"
Valeria was one of the top 13 at the recently concluded Miss Universe 2016 in Manila, Philippines.